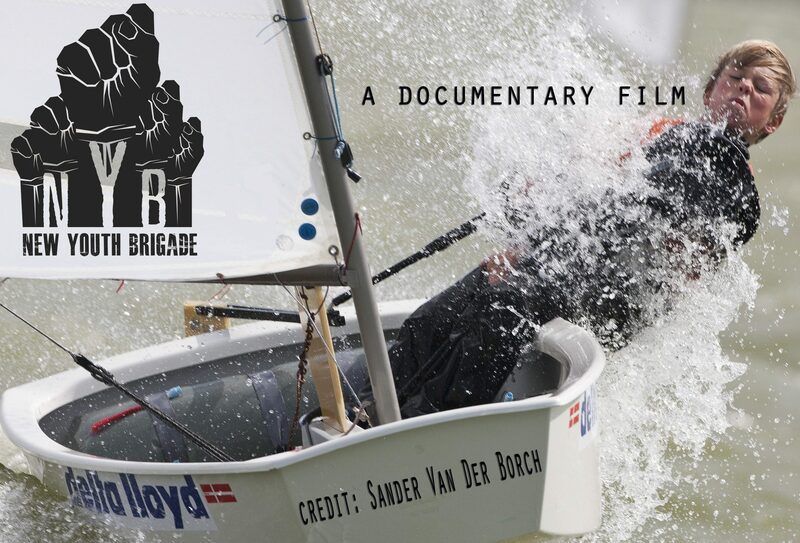 NYB is a film about the evolution of youth sailing programs in the US and abroad. “Times have certainly changed from when I was a young sailor going to sailing school in the summer on Lake Minnetonka" states the films producer and director Petey Crawford. Petey's life as a sailor traveling around the world both as a competitor and as a media producer lends itself well to creating a comprehensive view of sailing schools curriculum both old and new. "How we get kids into the sport is a challenge, how we keep them in the sport is a far bigger one". With so many other activities and sports for kids to take part in nowadays it’s easy to understand the magnitude of these challenges. "With the introduction of foiling I think we now have the cool factor that will help keep the yutes interest peaked". Petey conceptualized this documentary about 2 years ago and has been slowly collecting footage and data for the film but is now set to move forward and immerse himself in the deep end to connect all of the dots to make a great documentary film. "There are so many needs for a film like this, promotion of the sport, advancement of youth sailing programs, comparing different countries methods to foster youth talent just to name a few." Some of the footage Petey has already got in the can includes footage and interviews from the 2015 Volvo Ocean Race, 2016 Olympic Campaigns, and the road to the 2017 Americas Cup. All of which he sees as the ultimate goal for young aspiring sailors. "Its like the kids on the playground that want to be in the NBA or the NFL, these 3 sailing events are probably the most popular main stream sailing events that young sailors dream about. I know I did when I was a little nipper." Now that Petey is moving toward going into production there is a lot to be done, budgeting, planning, writing, scheduling and most importantly fundraising and seeking sponsorships. All of which are integral parts of the process. "Then comes the fun part of shooting and editing." Petey also has a plan to take this concept into the youth sailing apparel market. " What first came to me as an idea for promotional material for the film has morphed into what I think can be a stand alone venture. Kids sailing gear to me is pretty vanilla, basically mom and dads styles in smaller sizes. I want to change that and make something that is all theirs that moms and dads want to poach." "This has potential to not only be a great documentary but a vehicle to help shape the future of youth sailing programs" If you love sailing and want to help promote this concept, please stay tuned and or contact Petey with any questions on how you can help or be part of it all.